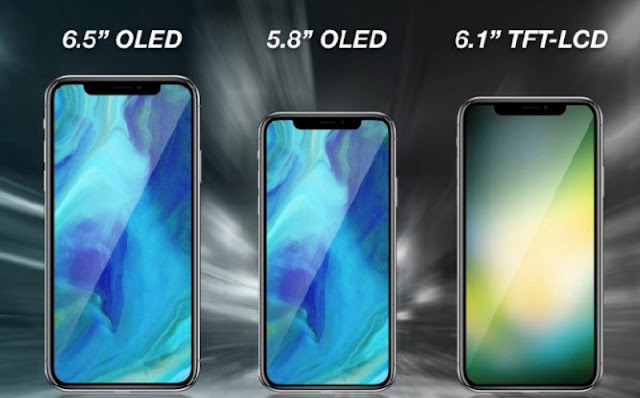 Apple has finally confirmed iPhone XS which will going to launch on September 12 and it is also expected that Apple will also unveil its three more products in the launch event, which are the apple watch series 2, Air Pods 2 and more products, 9to5Mac posted on its sites exclusive image of two OLED phones, which will comes in 5.8-inch and 6.5-inch display Sizes. A third entry-level phone with LCD display is expected to have 6.1-inch Screen. 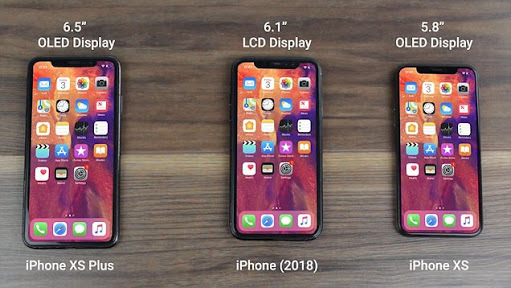 Both the OLED iPhone models called as iPhone XS. The new phones will feature the same glass back design with stainless steel frames as we saw on its last product launched which is iPhone X. Both the iPhone XS models will come in the gold color option. The phone has the gold stainless steel frame with a gold glass back. Apple iPhone XS will come with the edge to edge display like the original iPhone X. The Face ID feature is expected to be on all the three new iPhone models. It is also expected that Apple will release new iPhone XS models in the end of September. The all new Apple’s 6.1-inch LCD iPhone will be an affordable model. It will comes with a design all similar to the iPhone X, though it will sport aluminum edges instead of iPhone X’s stainless steel casing. To know about more features and specifications of the new coming iPhones we all have to wait for launch of these phones. This will be also going for the best selling product as same as the iPhone X. These three upcoming iPhones models will be the best phones of this year which is the Apple iPhone XS.